The retro tax issue continued to haunt investors ever since the UPA-II government introduced the law through Finance Act 2012. Prime Minister Narendra Modi's final nail in the coffin on retro tax would have gone a long way in helping foreign investors to heave a sign of relief. The retro tax issue continued to haunt investors ever since the UPA-II government introduced the law through Finance Act 2012. The law gave the Income=Tax Authorities jurisdiction to raise issue on all such cases of transfer of assets like Vodafone case in FY2013 and also amended the Section 9 of the Income-Tax Act to include even indirect transfer of the assets in India by two non-residents to counter the situations like Vodafone. Taxpayers including nonresident companies felt cheated by this law that took effect retrospectively and let down because what they did at any point of law was in accordance with law of that time. And one fine morning, they are being questioned for an action which was purely legal. While the law immediately brought the Vodafone deal under scanner, later even British oil firm Cairn Energy was slapped with Rs 10,247 crore tax assessments using the retrospective tax legislation. This created a huge fear psychosis in the country, leading to a major outflow of foreign investor money, which also caused the markets to crash. After the NDA government came to power, the government sent out a strong message to all investors – domestic as well as international – that retrospective amendments to tax laws will not happen. New finance minister Arun Jaitley assured that the government would not change the rules on retrospective taxation and that the retro tax amendment will be undertaken with extreme caution. He said all fresh cases arising out of the 2012 amendment of IT Act will be looked into by a high-level CBDT committee. He also said that the existing tax disputes, arising out of Retrospective Amendment to the Income tax Act, 1961, and on different level of pendency in the courts. He said that they will be allowed to reach their logical conclusions. He had also announced the formation of a retro tax panel in his Budget speech. 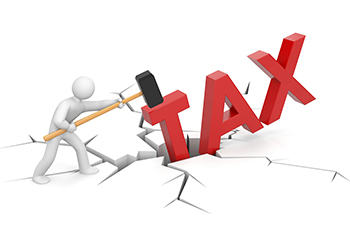 A high-level committee or retro tax panel - which was set up in August to scrutinize all Income-Tax (I-T) cases arising of the retrospective tax amendment - later recommended that India should scrap a law that taxes asset transfers retrospectively. The panel said in the report that the government should, as a matter of policy, avoid anything that "comes as a surprise" to the taxpayers. While the final action on the report was still being awaited, the PM on Monday said that the controversial retrospective taxation is a thing of the past and this chapter will never be opened again in India, a statement aimed at addressing the concerns of foreign investors over predictability in the tax regime. Modi said his government wants to ensure that foreign investors are clear about tax systems that will prevail in India over the next 15 years. 'The PM said he favours stable governance and predictable taxation system. This should assuage investors besides going a long way in helping the ease of doing business, a count on which India still ranks far below other nations globally.